One of my favorite parts of the new school year is deciding which planner I’m going to use. Yes, I’m aware of how nerdy that sounds, but using planners really make me feel like I have my life together. To some extent, I do actually have my life together when I have everything in one place. This wasn’t always the case though. Oh, your girl was all over the place in HS writing random things down on my HW assignments and whatever other paper was in reach; sometimes this worked, but most times it didn’t. Once I got to college, I realized that my bad habits would have to change if I was truly serious about working towards medical school. I spent the months leading up to my first semester learning about Time Management. You knew that was coming. Time management is such an important skill to have, many colleges dedicate entire seminars to the subject and rightfully so too. 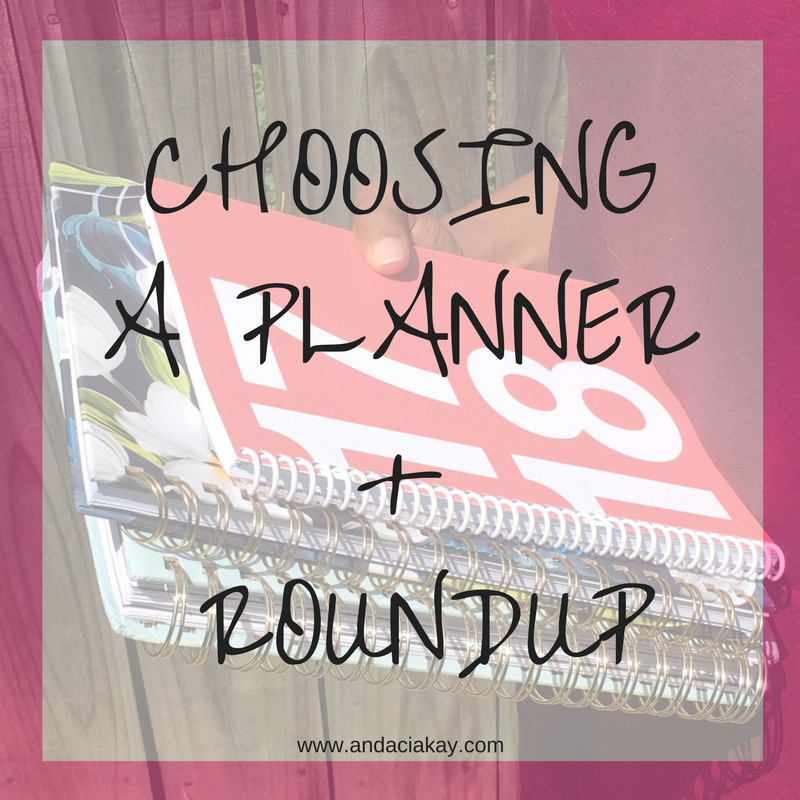 Today, I’m sharing some tips on how to choose a planner and a round up of planners that I have tried/have yet to try that will guide you on your path to managing your time effectively. Appeal: I read somewhere that in order to feel motivated to do something, in this case plan, it should be appealing. The cover of most of the planners that I’ve had have always been eye-catching, so mostly bright colors. So, do I want a cute planner that’ll help me refine my organization skills or do I want one that’ll just be enough to get the job done? Writing Spaces: My handwriting is on the larger side, so whatever planner I choose for the year has to have ample writing space. That being said, compact planners are a no for me– it’s either medium or large. Monthly/Weekly view: The monthly view is good for planning ahead, but I do appreciate being able to thoroughly set goals for each day of the week. So, I do have to have a weekly view in addition to the monthly view. Size: Is it too big for me to be toting around the city? 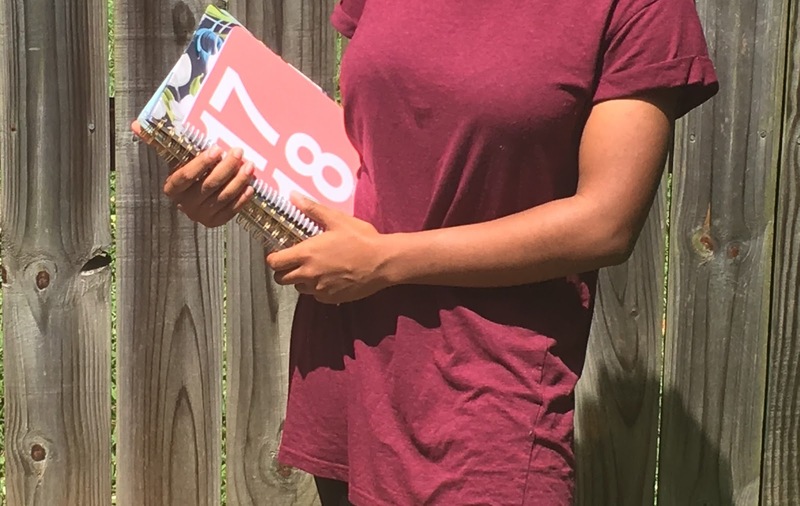 Price: I truly believe that you get what you pay for, but I’m still not at the point where I’m willing to splurge on a planner yet. Think about how much you’re willing to pay. 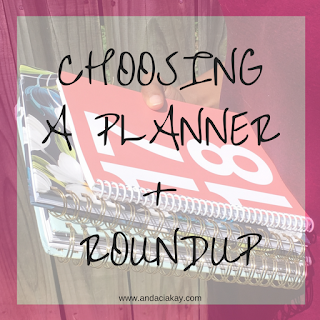 There are plenty of planners that will get the job done at various price ranges. Personally, I prefer my planners to provide structure, otherwise I’ll end up winging it when it comes to sitting down and getting assignments done. Which is why #2 and #3 is on the list above. Now, what’s important to you? What are your organizational needs? (Ex: if you tend to procrastinate, go for a planner that let’s you plan your day by the hour). It’s important to know yourself when it comes to these kinds of things, by answering the questions above, you’ll have a pretty good idea for what type of planners to look for. 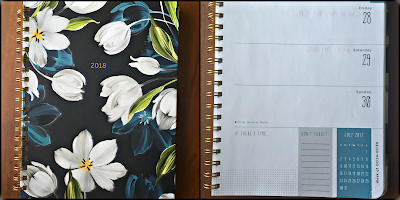 Here are some of my thoughts on planners that I’ve been able to try and a couple that I definitely will try. I hope this will give you an idea of the range of planners that you have to your avail as all of these are very different from one another. Lesley was gracious enough to send me the ClassTracker and when I tell you it was every thing that I was looking for! In the front, there’s a space specifically for you to put your class schedule and goals for the semester/year, which means that I don’t have to print out my go-to printable this year. When you turn the page, you have your traditional monthly view with enough space for you to write in pertinent events and obligations. There’s also plenty of space in the margins, just in case you want to put in a “snapshot” of anything else. Turn the page again and you have your weekly view. What I like about these pages is that there is a “Remember to…” section and a space for your to-do lists. I feel like it encourages the student work-life balance that so many of us crave. There’s also spaces for writing in quizzes/exams, assignments, and activities that kind of reinforce my assumption above. 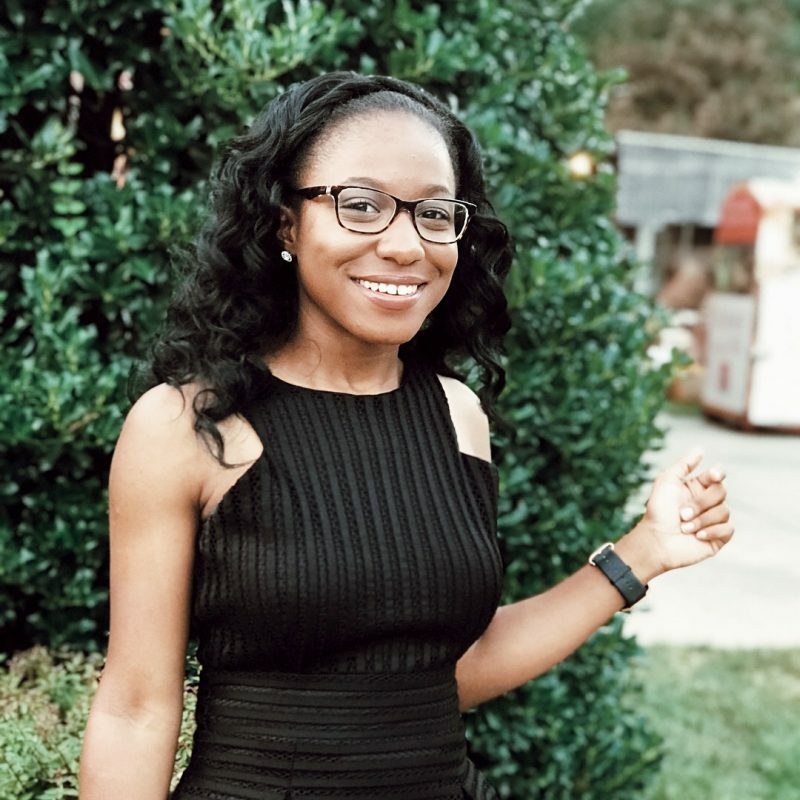 Perfect for: Honestly, if this is your first time having to actually choose your own agenda (hint:new high school grads on the way to college), then this is the one for you. I think it’s something that’s perfect to have to help you with your transition. This particular planner is very different from what I’ve ever had before. 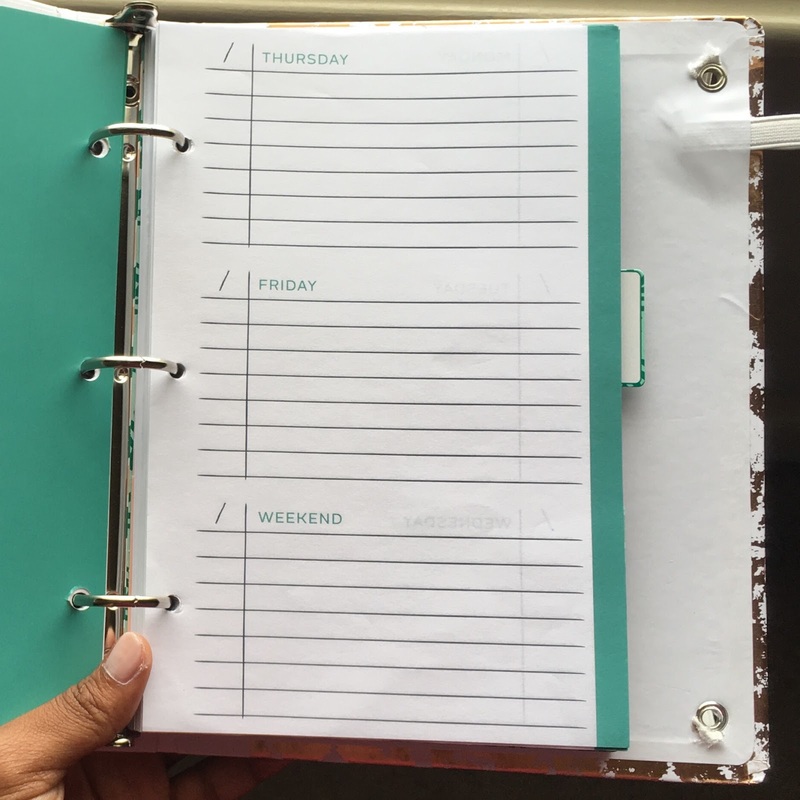 It’s a weekly planner and it has a snapshot of the month on the right side of the page. 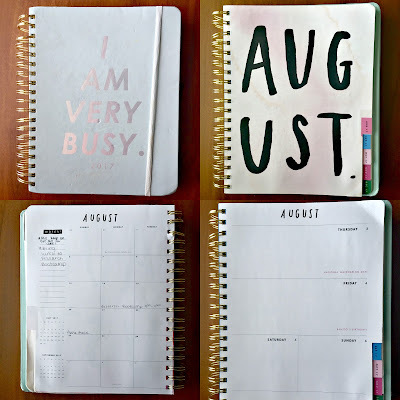 Initially, I felt like the planner view would sort of force me to sit and plan for each day, at least then I might actually get more out of my week. I do have one complaint though. I wrote in an event, using a regular ball point pen, and it bled through. So, yeah the pages are a little thin. 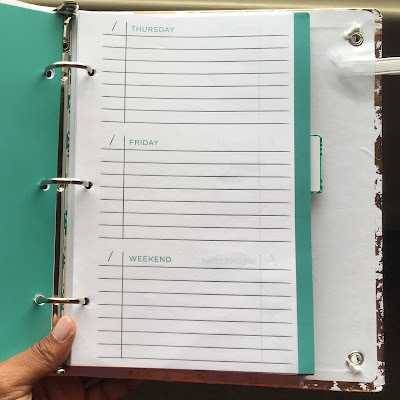 This planner is lightweight, so I shouldn’t have any issue carrying it around in my backpack. Perfect for: Those who tend to go with the flow– the laid back crew. I don’t know what I was thinking buying this set from Target. Let’s just say it was an impulse buy gone wrong. Don’t get me wrong, the binder is beautiful and the inserts are your typical planner inserts, but I was so overwhelmed with having to set it up. In other words, I had to write in each date for the monthly view, which was odd because the week started with Monday and not Sunday (which is what I’m used to). I eventually gave up and deemed it as my future “MCAT study plan organizer”. If it weren’t for Ms. Lesley and that trip to Baltimore, I probably wouldn’t even have a planner for next school year. I’m only slightly kidding, but I say all that to say, know yourself. before picking your planner. Trust me, it will save you the trouble. 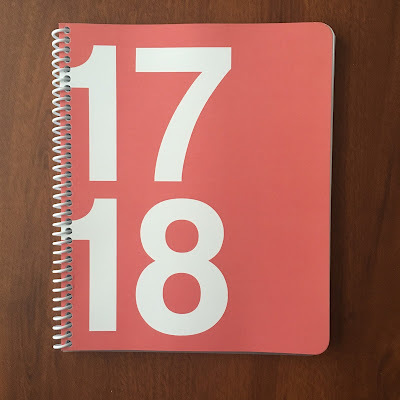 Last year, I purchased the ban.do planner and I love it. Looking back, I would have gotten a smaller size (I have the large) because mine adds so much weight to my already heavy backpack. The pages are colorful and durable. It runs for 17-months, so I’m not sure what I’m going to do with it because I’m definitely using the ClassTracker when school starts. Anyway, I highly recommend this as I don’t really have any complaints about it. 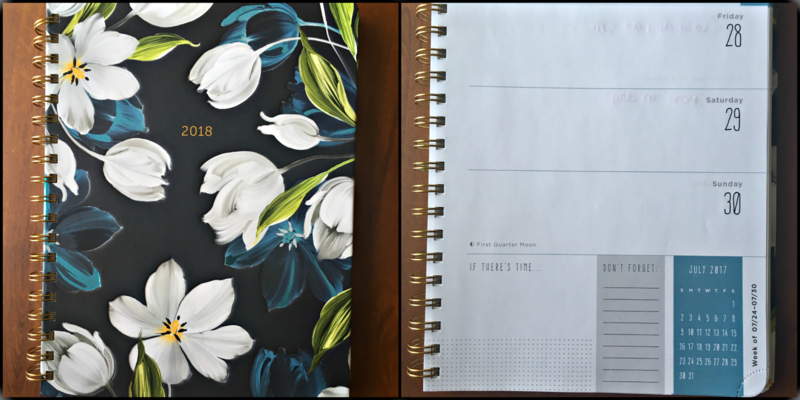 To synopsize, choosing a planner can be overwhelming since there are so many out there and you want to choose the right one since you’ll be using it for at least a year. However, if you start thinking about your needs it’ll be easier to identify the type of planner you want.